1) Fully MPEG-4 H.264/AVC. Main Profile Level 3 & High Profile Level 4.1 Complaint. 2) Fully MEPG-2 MP@HL & MP@ML;MPEG-1 Layer Ⅰ.Ⅱ.Ⅲ. Dolby Audio (AC3) Compliant. 3)SCPC & MCPC Receivable from C/KU Band. 5) NIT Search, MPEG-5, HDMI1.3 Supported. 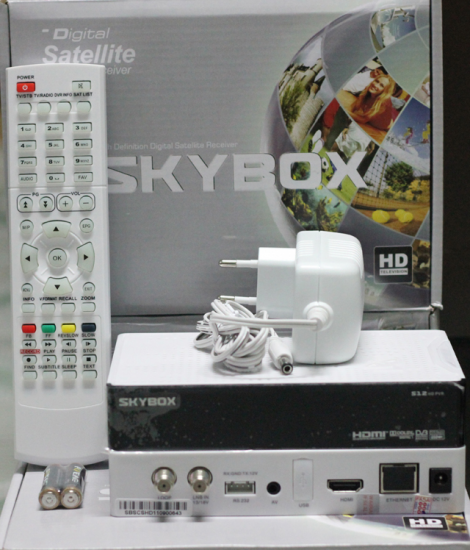 6) PVR (External USB), EPG For 7 Days Supported. 7) Multi-lingual DVB Subtitle And Teletext supported. 8) Teletext And Subtitle Out Through OSD. 9) Multimedia Files Playback (by USB). 10) Automatic And Manual Channel Scan Options. 13) MPEG-2/H.264 Hardware Decoding, Videotext Decoder. 14) Digital Audio Output: S/PDIF By Coaxial And Optical, YCbCr Avaiblable. 15) Screen Format: 4:3/16:9 Auto., 2 Scarts (RGB, FBAS or S-Video). 16) CA (One Slot), 10/100 Mbit Ethernet Interface. 17) Upgrade Software & Update Channel Database Through USB2.0 Port.